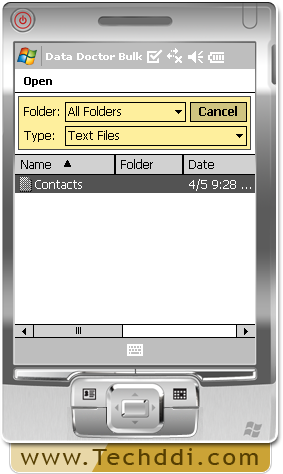 Select folder from which you want to load contact file. 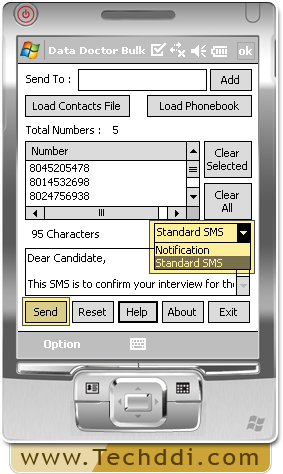 Choose type of message (standard or notification) that you want to send. Click on send button. 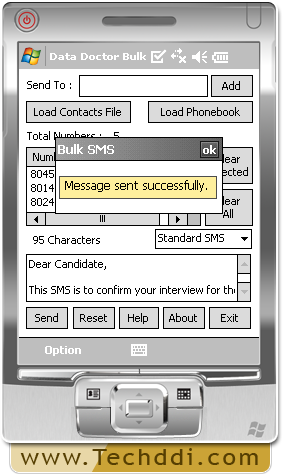 Screenshot displays status of send messages (sent successfully).